The Incredible Burt Wonderstone (Director Don Scardino) - is the right vehicle for the comedy stylings of both Steve Carell and Jim Carey. 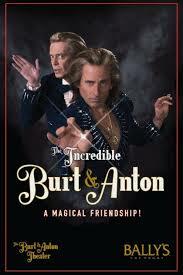 Carell as Wonderstone, gets to do that obtuse, self-aggrandizing, but deep down I'm a good guy thing - as his character goes from dorky magician, to iconic Vegas showman and womanizer, to losing everything including his "Siegfried and Roy" partnership and his love of the craft. Carey gets to submerse himself into a mockingly disturbed David Blaine type illusionist, which allows for plenty of nutty physical grotesqueness. I'm not crazy about Oliva Wilde over the last year or so I've seen her in Butter, In Time, The Words, People Like Us and now as Carell's love interest. If she was gonna grow on me, it would have happened by now. On the other hand, who doesn't enjoy Alan Arkin, he gets better with age, most recently in Argo, Stand Up Guys and now as revered magician Rance Holloway. Is it pleasing? The script by writers John Francis Daley and Jonathan M. Goldstein (click for interview with writing team) stays pretty tight and is amusingly funny. The very last scene is howlingly funny! But on the whole, this is just a good renter. 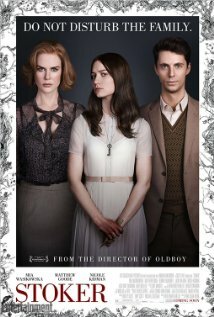 Stoker - I had no idea who this filmmaker Chan-wook Park was and didn't understand why everyone was making such a big deal about him doing an English speaking movie. Now I'm excited about him too because Stoker is truly one of those seen through the eyes of the auteur type of films; yet not pretentious or inscrutable. I've been a fan of Mia Wasikowska since the first season of In Treatment, she's gone on to many film roles since, and I think I've seen them all, however, this role as India Stoker was written for her timeless, compellingly strange persona. I'm not going to go into the plot because I recommend seeing it cold the way I did. I knew who was in it and that it dealt with family dynamics and not much more. Is it pleasing? Yes. The story is melancholy and violent; I was taken in by the visuals and sound cues; the set design; and the austere affluence of the house and it's inhabitants. 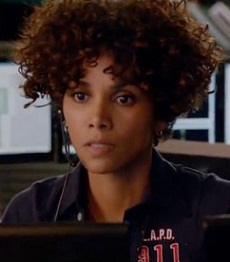 The Call (Director Brad Anderson) – I really only went to see this because it starred Halle Berry. In the same way I started watching Scandal to support Kerry Washington and Deception for Meagan Goode. Always happy to see a "sistah" getting to do the leading lady thing. Surprisingly, The Call is crazy, scary fun! It starts out trying to show the complexities, stress and incredible presence of mind it takes to be a 911 operator. Very commendable, but not what really grabs you and takes you on an exhausting ride. That part comes from viscerally feeling Abigail Breslin's panic while trapped inside the trunk of a psychopath's stolen vehicle. If only she wasn't calling 911 from an untraceable *TracFone (see comment section). If only the emergency operator, (Berry) hadn't messed up the 911 call the last time this sicko got a hold of a young, blonde cutie. If only that town car driver could have been more on the ball. If only they hadn't put such a bad wig on Halle Berry! Is it pleasing? It is if you like audience participation. Everybody in the theater was talking back to the screen, including me. It's just that kinda flick, where you have to warn, scream, instruct and groan as you tensely await the heroin’s escape or rescue.